 The Robens Telescopic Tripod is a great addition to your camping toolkit, especially if you like cooking over a campfire! 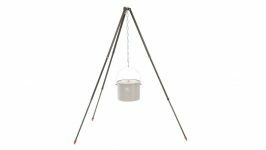 Campfire tripods can sometimes be bulky items to take to the campsite. 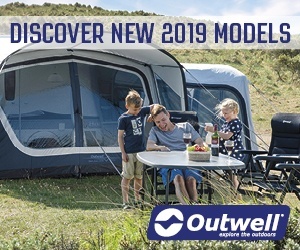 This one from Robens isn’t. 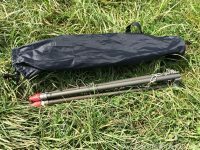 For years, I have been using the Landmann tripod, but this Telescopic Tripod from Robens has taken the top spot for my favourite campfire tripod. 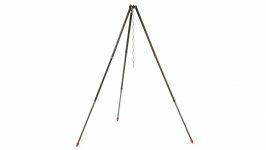 As the name suggests, this is a telescopic tripod… no, not a tripod for telescopes… but a campfire tripod with telescopic legs, which means it can pack down to just 53.5 x 6.5 cm and weighs less than a kilo. 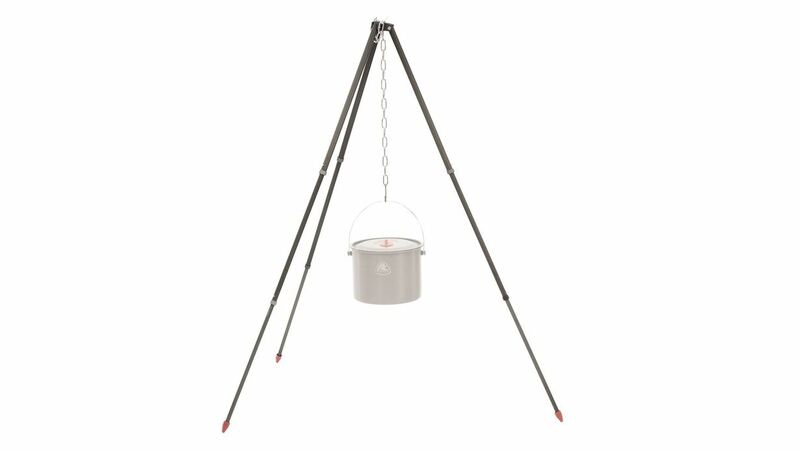 This campfire tripod packs down really small. It even comes with its own carry case. 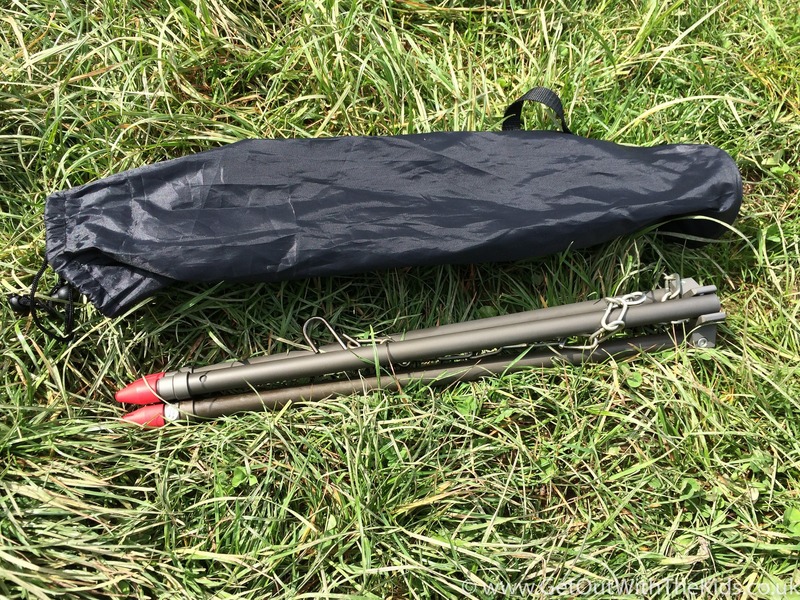 To set-up the tripod, you simply pull the legs out and lock them into place. They have a button release mechanism to collapse them so that they can take quite a bit of weight (up to 15kg). 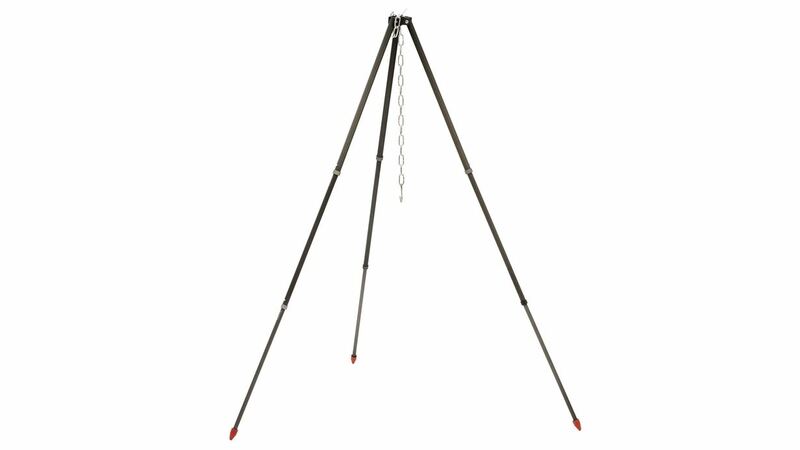 If you extend the legs to their full length, then the maximum height of the tripod is 120 cm. At the ends of the legs under some red caps are ground spikes so that you can firmly place the tripod into the ground. This is a sturdy bit of kit, with hard anodised alloy legs. Of course, a tripod is no use without a sturdy chain. This is the one area of the tripod that I mark it down on. The chain is very sturdy. No problems there. However, securing it can be a bit fiddly. 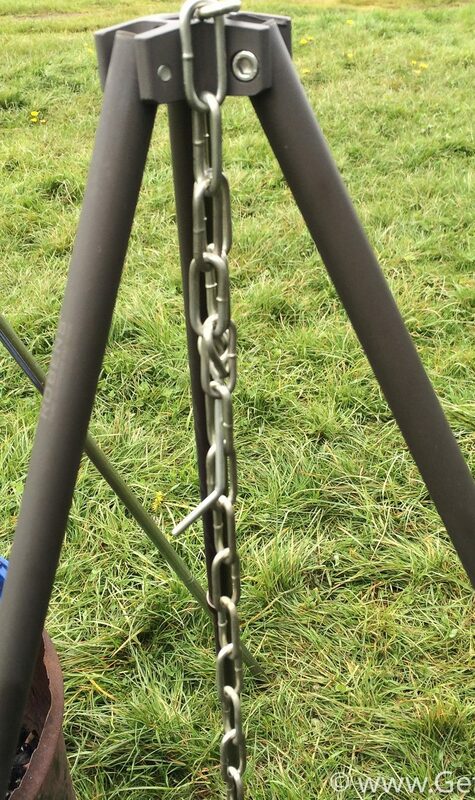 Be careful securing the tripod’s chain. At one end of the chain is your put hook. Nothing wrong there. At the other end of the chain is a ‘pin’. You need to make sure you thread this through the chain and make sure it is secure before putting any weight on it, such as a pan full of very hot liquid and food! Compared to the other tripod we’ve been using, a better mechanism to secure would have been good. However, as long as you are careful of this point, it works OK, and we’ve not had any accidents. Folds down small and is lightweight. Strong enough to hold a full pot over the campfire. Has spiked feet for extra stability. Securing the chain can be fiddly. Make sure you do it right so you don't spill the contents of a hot pan over anyone! This is the only reason I marked quality down, otherwise, this is a quality bit of kit.